Not all exercises are created equal. But the worst exercise for you, may not be the worst exercise for other men. A s men over 40, we know that our bodies don't feel the same as they did 20 years ago. There are new aches, pains and dietary needs. In short, our limitations are different than when we were in our 20s. But there is one thing that improves as we age: our wisdom! Just as you want to know the best workouts for men over 40, you should also build up your wisdom against the WORST exercises for men over 40. We've identified the absolute worst exercises for men over 40 here for you. They're a collection of useless routines and moves that are brutal on our bodies. Some of the moves may surprise you, and you may need to change up your routine, but your body will thank you! Let's make sure that we're all on the same page when it comes to the fact that as men, our bodies change significantly as we age. W hile most of us know this to be true, fewer can actually identify the scientific reasons why this happens. Allow us to go Bill Nye on you for a moment and give you some details. Most men's metabolisms actually start slowing after age 25 – yep, that early. Metabolisms continue to decrease about 2 – 4 % per year. We looked into this issue in depth and identified ways you can target your metabolism here. But it's not just your metabolism – men's hormones also change as we age. As we've seen, testosterone levels drop about 1% lower every year after you turn 30. In this article specifically, we'll talk about how doing the wrong types of workouts can actually slow your metabolism and lower your testosterone levels, while the right workouts can help speed it up again. It's just as important to know what not to do as it is knowing what you should do. As we take you through the absolute worst workouts for men over 40, keep in mind that some of these could be completely contrary to what you thought. And even if you've been using some of these exercises as a staple in your routines, don't fret. We will provide you alternative ways to stay lean and strong without any of the harmful exercises. First thing's first: cardio is a favorite of many who enjoy working out outdoors and believing it keeps them lean. F or some, cardio can be a stress reliever and go-to exercise. For those of us over 40, it could also be a huge time waster. Longform cardio, like extended runs, can trigger the stress hormone cortisol in your body. This can actually make you gain weight. Hard-hitting cardio – like jumping jacks – can strain your joints. From knee to hip flexors, you could inflict harm on yourself. Cardio Replacements: Opt for shorter bouts of cardio that integrate breaks (like HIIT classes) or are gentle on the joints (like swimming). Tweaking your back is one of the most common injuries for men and women. As bad as it feels, it's even worse that many popular exercises can cause this pain as well. S it-ups and crunches are some of the most popular core exercises. Unfortunately, sit-ups and crunches can strain your lower back unless you keep a completely straight back. In a hovering leg lift, you would lower both of your straightened legs to the floor while tensing your abs. Similar to crunches, the hovering leg lift can damage your back if your muscles aren't already strong and your technique isn't perfect. Sit-up and Leg Lift Replacement: Try planking instead. Deadlifts help tone hamstrings, glutes and your lower back. But as great as they are, form can be difficult to perfect. As time goes on, perfect deadlift form is even more elusive and can lead you to injure your lower back. Deadlift Replacement: Try bent over rows instead. Knees are another common injury, at any age. The amount of pressure and stress that our knee joints take over the year is astounding. B ut as you age, it becomes very important to protect these precious joints. Squats are a popular exercise to tone your glutes and legs. However, weighted squats can put even more stress on your joints. Similarly, leg extensions with heavy weights can endanger your knee ligaments and your ankles. Squats and Leg Extension Replacement: If squats hurt your knees, try lunges and step ups instead. While we just ran through a list of “no-nos,” know that there are many workouts that are perfect for your body at every age. Check out our list of the 20 BEST exercises for men over 40. We'll take you through the 5 best exercises for men over 40 in the categories of weights, bodyweight, dynamic cardio and core. Our 24-minute metabolism workout is an excellent complement to our over 40 exercise list. Using both of these, you'll be able to maximize your time in the gym and minimize any down time from injuries. *Please know that weight loss results & health changes/improvements vary from individual to individual; you may not achieve similar results. Always consult with your doctor before making health decisions. This is not medical advice – simply very well-researched info on the worst exercises for men. Sometimes, you just need a little help. When it comes to weight loss, it can seem like the entire journey is an uphill battle. Between gathering your motivation to monitoring your success, there's no disputing that it's a difficult process. Natural weight loss supplements are a healthy way to give yourself an edge in these battles. Whether you're just starting your weight loss journey or you're trying to overcome a plateau, natural weight loss supplements can give you that extra confidence and motivation that you need to get to the next level. Read on to learn which natural weight loss supplement is right for you. First thing's first: let's accept the fact that natural weight loss supplements, no matter which one you're using, are not the golden ticket to the perfect body. Unfortunately, there's nothing on this green Earth that can gift you a perfect body without the combined effort of proper diet and exercise. But once you've accepted the fact that you'll still need to put in your sweat at the gym and clean up your diet, you can use supplements responsibly. Most all natural weight loss supplements work in one of three ways. By helping you to feel full, your body's response is to eat less. Fewer calories in means your waistband goes out less. Similarly, when natural weight loss supplements help you to decrease your caloric intake, your body is forced to rely on the fat in your body for energy. Using your own fat for energy helps you lose pesky pounds. Finally, by increasing the rate at which your body burns fat, you burn an increased amount of calories. All in all, natural weight loss supplements are a healthy way to push your body in the right direction for weight loss. Supplements work differently on different people. While you read about the supplements and start to try them, keep in mind that you should use them for 2 – 4 weeks before trying a different one. Caffeine is the most used drug in America. It helps us from waking you up to the morning to yes, weight loss. Caffeine is naturally derived from plants, making it a safe weight loss supplement when used in the right dosage. By temporarily increasing your metabolic rate, caffeine allows the body to break down fats faster. When taken about an hour before exercise, caffeine can help boost your performance. Glucomannan is a natural weight loss supplement that is found in the elephant yam (konjac). This supplement works in your body by making you feel full faster, which helps you to eat less. Glucomannan also helps you to delay how quickly your stomach empties, which also reduces your caloric intake. When using glucomannan, it's generally recommended to take the supplement before you eat your main meal of the day. Green tea extract is a concentrated form of green tea, which is from the tea leaves that originated in China. While green tea extract includes caffeine, which we've already discussed as a weight loss supplement, green tea is also teeming with antioxidants. By introducing more of an antioxidant called EGCG that helps you to burn fat, green tea extract helps you to lose weight. In particular, studies have shown that green tea contributes to weight loss in the stomach area. CLA is short for Conjugated Linoleic Acid, which is a natural weight loss supplement that is actually found in fatty animal foods. As a weight loss supplement, CLA has been found to decrease your appetite, help your body break down fat, and increase your metabolic rate. For that reason, CLA is seen as a triple threat and has been a popular weight loss supplement for years. While we've talked a whole lot about the use of natural weight loss supplements, we want to end by reminding you of the importance of a healthy diet. T here is no supplement for a proper diet. No amount of weight lifting, cardio or natural weight loss supplements can make up for bad eating habits. Luckily, we have a little something that makes eating healthy easy and delicious. Yes, we realize that sounds too good to be true. But after you try our free 1-day meal plan, you'll agree that eating healthy looks and feels better than anything else can. Our free 1-day meal plan provides everything that you need to know about eating for weight loss. From what to eat, when to eat it, and how to portion everything out, the free 1-day meal plan is the perfect playbook for a busy man who wants to lose weight in a healthy way. And as if that wasn't enough – you'll also learn the #1 “dirty meal timing secret” to enjoy delicious food without gaining weight or feeling guilty. All based on science. Set your intention for a healthier you – pick up your daily meal plan and supplements today. *Please know that weight loss results & health changes/improvements vary from individual to individual; you may not achieve similar results. Always consult with your doctor before making health decisions. This is not medical advice – simply very well-researched info on weight loss supplements. How many people in the U.S. go on a diet every year? Would you be surprised if I told you that the number is estimated at 45 million? With there being more than 300 million Americans in all, 45 million is actually a relatively small number. Losing weight – and losing weight fast – is a huge concern across all age groups. For those of us with families and full-time jobs, the challenge can seem almost insurmountable. Luckily, the Fit Father Project has made it its mission to provide scientifically-based coaching and advice on how to sustainably lose weight, even with the busiest schedule. No matter if you have teething toddlers, work the night shift, or the hardest time getting up the courage to start going to the gym again – we've got a way for you to start chipping away at weight loss with these simple ideas. As you read through our simple weight loss ideas for busy men, remember that every day is a good day to start healthy habits. Meal prep is one of the most common approaches to controlling your diet and losing weight. You may be tired of hearing about it, but we'd like to show you why it's so effective. Meal prep allows you to get your dinners and lunches ready for the entire week in just one day and prevents you from eating junk food out of convenience. The first two aspects of meal prep that you'll need to decide is timing and food preferences. For timing, you must choose one (or two) days a week that works for you to prepare all your meals. Common days are Sundays and Wednesdays. For food preferences, you will need to make a list of your favorite vegetables, lean proteins, and carbohydrates. Once you've decided on your prep day and favorite foods, all you need to do is cook! The ability to grab pre-made dinner and lunch for an entire week is incredibly freeing while keeping you within your diet. Another benefit of meal prep is that by choosing and preparing your meals in bulk, your grocery shopping is cheaper and more straight forward. The best add-on to meal prepping is to follow the principle of Perfect Plates. W hile meal prep will provide consistency and convenience to your simple weight loss diet, Perfect Plates will ensure that you're eating the right foods to lose weight. Essentially, Perfect Plates include the healthy foods you already like to eat but in the correct portions. Instead of attempting a complex and super restricting diet, the Perfect Plates theory allows you to control what you eat at each individual meal with simplicity. A Perfect Plate is made up of 50% vegetables, 25% lean protein and 25% carbohydrates. Veggies are truly at the base of a Perfect Plate. Our top choices would be spinach, mixed salad greens, steamed broccoli, snap peas, grilled asparagus, baby spinach, steamed carrots, and spaghetti squash. Lean protein is the second step and is what helps keep you full long after your meal. Our top choices would be organic chicken, wild-caught salmon, tilapia, trout, whole eggs, grass-fed beef, and organic turkey. When it comes to carbs, you should try to pick those that your body digests slowly. Our top choices would be rolled oats, pumpernickel bread, bread that's whole wheat, brown rice. While meal prep and perfect plates are all about what you eat, intermittent fasting is all about when you eat. Intermittent fasting means that you fast for a short period of time with the goal of training your body to utilize food more efficiently, and ultimately lose weight. There are many different styles of intermittent fasting – from fasting 16 hours out of the day all the way to fasting every other day. You can find out which method would work best for you in our intermittent fasting article here. But what you'll want to understand is how intermittent fasting achieves your weight loss goals. Simplicity: Intermittent fasting is a no-think weight loss approach. When you set your schedule, you just have to stick to it. Designed For Weight Loss: When fasting, your body is forced to breakdown the fuel it does have – fat! This trains your body to burn fat through fasting, not just when working out. Hunger Decreases: Ironically, by fasting, you can reduce your body's hunger hormones. This happens because intermittent fasting reduces fat cells in your body, which reduces the hunger hormone leptin. Intermittent fasting is a great way to challenge yourself with a strict schedule that once set, is easy to follow. Now, we all know that there is work to be done outside of the kitchen. T he main complaints I've heard about busy men trying to lose weight is that they don't have the time to spend an hour in the gym every day. Between a full day at work and children at home, it's just not feasible. That's why we designed the 24-Minute Workout. This workout is perfect for men over 40 who feel like their metabolism is slowing down and they need an effective, quick and easy workout routine. The 24-minute workout builds muscle and cuts fat with one plan. Whether you're heading to the gym, your garage or a park, you can adapt these exercises and take them with you. Before you write off yet another workout plan – think about it this way. Do you have 30 minutes of extra time during your day? I've yet to find a man who could honestly say that he doesn't. Instead of scrolling through social media or turning on ESPN during those 30 minutes, put it to good use. Use your muscles and challenge your body with the quick, 24-Minute Workout. Your body will thank you with regained energy levels and newfound confidence. While there are many small, simple weight loss ideas for you to try, one of the most important aspects of weight loss is in your mind. It doesn't matter if it's your first time trying to lose weight or your tenth time trying: if you don't have the proper motivation, you will be fighting with yourself all along the way. We go into great detail on how to build your mental resilience up to conquer weight loss in our past article, but there are a few big callouts that you should remember. Find Your Why: If you don't know the root of your desire to lose weight, you will not be powered up enough to make a difference. Is it for your health? For your partner? For your kids? Build Habits: It takes a minimum of 21 days to create a habit – sometimes up to 6 months. Do not allow yourself to waver as you're on the road to success. Set Goals: People are 42% more likely to achieve their goals if they write them down. So, create a calendar or keep a journal as you work towards your fitness goals. Celebrate Your Success: Give yourself credit when you make big and small leaps towards the body you want. Tell your friends about it, tell your partner. The positive energy you project about your goals will help you achieve them, especially when times get hard. Reach out to us at the Fit Father Project for more ways you can hold yourself accountable. Between the experience of our trainers and the amazing progress of our Fit Father Project men, there are countless stories and pieces of advice we can share. *Please know that weight loss results & health changes/improvements vary from individual to individual; you may not achieve similar results. Always consult with your doctor before making health decisions. This is not medical advice – just very well-researched info and simple weight loss ideas. What are the Best Magnesium Supplements for Men? Magnesium is one of the body’s most vital minerals that plays a key role in over 300 different enzymatic reactions controlling essential body functions like ATP production, nerve signaling, protein synthesis, and blood pressure regulation. The best magnesium supplements should be capable of performing these actions, without negative side effects. The big problem is that many people are silently suffering from magnesium deficiencies. In fact, research suggests that a shockingly large percentage of people may have some degree of undiagnosed magnesium deficiency. We lose magnesium in our sweat and while stressed. In addition, soil depletion from large-scale farming has led to lower levels of magnesium in our fruits and veggies. For all of these reasons, many people wisely choose to supplement with magnesium. The trick with magnesium is that it’s poorly absorbed on its own. Magnesium must be bound to other molecules so it can be absorbed effectively. That’s why we have so many different forms of magnesium. Over the years, chemists have played around with different binding molecules trying to create the best magnesium supplements. The consequence is that we now have 10+ different forms of magnesium with some very specific health benefits. This is perhaps the most common form of magnesium sold in supplement stores because it’s relatively cheap to produce. Unfortunately, Magnesium oxide is poorly absorbed compared to other forms of magnesium and often leads to the common side-effect of diarrhea and intestinal cramping. If a laxative effect is your goal of taking magnesium, this form may do the trick. If you’re interested in actually increasing your body’s magnesium intake, then the other forms on this list will likely be better options for you. This is the second most common form of magnesium, and it has a much better bioavailability than Magnesium oxide. Magnesium citrate is bound to citric acid, a very common compound in citrus fruits that gives them their characteristic tart flavor. Citric acid is a mild laxative in its own right, so, although Magnesium Citrate is fairly well-absorbed, it can still lead to diarrhea and loose stools. This form of magnesium is particularly good for improving heart health. Both magnesium, and the Taurine amino acid it’s bound to, work to stabilize the cell membranes in the heart, have been found to help decrease heart arrhythmias, and lower blood pressure in several studies. Notably, Magnesium Taurate does not have the laxative effect of many other magnesium forms, which makes it one of the best magnesium supplements. I call this the “athlete’s magnesium,” because it’s bound to malic acid, which plays key roles as an enzyme that increases ATP and energy production. For those that exercise regularly, and want to take magnesium to increase their athletic performance and recovery, Mag Malate may be the best choice. This form is commonly referred to as Epsom salts, and it is definitely not one of the best magnesium supplements for oral use. Magnesium sulfate is a very poor source of oral magnesium because of the serious gastrointestinal issues it causes. In other words, it increases the risk of experiencing explosive diarrhea! However, adding Magnesium Sulfate to a nice warm bath is a safe and effective way to soothe aching muscles and creating whole body relaxation. In my opinion, this is perhaps the most interesting form of magnesium. Magnesium L-Threonate is the only form that has the ability to cross the blood-brain barrier making it available to support metabolism and function of key neurons. According to new research, Magnesium L-Threonate can be used to treat anxiety, depression, and fatigue. Mag L-Threonate has even has gained popularity for Silicon Valley CEO types as a nootropic aid for boosting cognitive performance. Last, but certainly not least, we have Mag Glycinate, which is one of the most bioavailable (and safest) forms of magnesium for correcting long-term deficiencies. When magnesium is bound to the amino acid glycine, it’s bioavailability dramatically increases, without the gastrointestinal side-effects from other forms of magnesium. As an added benefit, the amino acid glycine also exerts a “calming effect” on the brain and body and is used as a standalone supplement at high doses to improve insomnia and even schizophrenia. *Please know that weight loss results & health changes/improvements vary from individual to individual; you may not achieve similar results. Always consult with your doctor before making health decisions. This is not medical advice – simply very well-researched info on the best magnesium supplements. By a show of hands, who's a big coffee drinker? A merica is home to the most coffee drinkers in the world – in fact, 64% of Americans drink coffee every single day. In this world so full of coffee drinkers, have you ever thought to integrate tea into your daily routine? Tea has been drunk for centuries and has many health benefits including using tea for weight loss. Whether black, white or green tea is your favorite, there is a tea for weight loss on this list that can help you! Green tea has been heralded as the healthiest beverage on the planet for its many health benefits, including antioxidants, caffeine, and bioactive compounds. O n top of all that, green tea has been shown to help drinkers lose weight. Green tea contains high levels of catechins, which are antioxidants that can increase your metabolic rate and boost your body's ability to burn fat. Green tea is so well known for its fat-burning capabilities that it's actually used in fat burning supplements. On the other side of the scale, green tea is also known to help reduce your risk of developing type 2 diabetes. 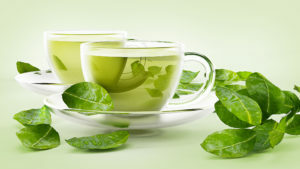 By lowering your blood sugar levels and increasing your insulin sensitivity, green tea helps your body stay regulated. The difference between black tea and the others (white, green, oolong, etc.) is that black tea has undergone more oxidation than the others. T his oxidation process is what gives black tea its signature darker color and stronger taste. Black tea is brimming with antioxidants, which strengthen the body by decreasing cell damage and doing away with free radicals. This can improve your holistic health and help defend your body against chronic disease. When it comes to weight loss, black tea is high in flavones, which are a type of antioxidant. These flavones contribute to decreases in weight and waist size. While black tea has less caffeine than a cup of coffee, you can try to substitute it in your daily routine. 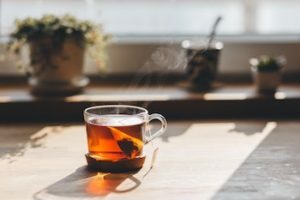 Sometimes, reducing the amount of caffeine you ingest can be a healthy option, and black tea's other health benefits can make it worth your while. White tea differs from black and green tea because it goes through the least amount of processing and is derived from a young plant. W hite tea tastes almost as it sounds – light, a little sweet, and delicate. While green tea is usually the first tea that people think of in relation to weight loss, white tea actually has a comparable amount of catechins as green tea does. In fact, some studies have indicated that white tea can increase fat cell's ability to break down entirely and prevent the creation of new fat cells. White tea's amount of caffeine can also assist in increasing your metabolic rate and help you burn an extra 100 calories a day. Herbal teas are de-caffeinated teas that are derived from herbs, spices, and fruits instead of the plant that white, green and black teas come from. T hese teas can vary drastically in flavor– ginger tea, rooibos tea, and hibiscus tea are all herbal teas! Herbal teas can assist your body in anti-aging, anti-stress, cold-fighting and immune boosting qualities. And with no caffeine, they make a wonderful evening drink. While more research is needed to correlate herbal teas to weight loss in humans, test tube studies have shown that rooibos tea, in particular, can boost fat metabolism and prevent the creation of fat cells. As you can see, drinking tea can provide many health benefits to your life. F rom its caffeine in the morning to its soothing qualities at night, it's easy to find a good time for tea time. Try forgoing calorie-filled drinks like soda or rich lattes and substituting a tea instead. You'll be able to get a comparable amount of caffeine and all the health benefit of teas! As you look to refine your diet, look into our free 1-day meal plan. Not only will you learn what the best foods are for a healthy life, but you'll learn all the ways you can mix and match the best recipes. Try our free 1-day meal plan today! Coupled with your favorite teas, your body will be warm, full and happy. *Please know that weight loss results & health changes/improvements vary from individual to individual; you may not achieve similar results. Always consult with your doctor before making health decisions. This is not medical advice – simply very well-researched info on tea for weight loss. Can Probiotics Be Used for Weight Loss? Did you know that there are trillions of organisms living inside your body right now? Don't worry, we all have bacteria growing on all parts of our body. Scientists have known for years that our gut is home to tons of bacteria that live off of our nutrients. What they haven't known for years is how our gut bacteria affect the rest of our body. While most people think of illnesses when they hear the word “bacteria,” they actually assist in needed bodily functions like producing vitamins, digesting food, enhancing and regulating the immune system, protecting against disease, and lowering your chances of becoming sick. In this article, you will learn how an unhealthy gut can lead to serious illnesses like obesity, but also how a healthy gut can help you achieve your weight loss goals. Read on to discover tips that you can integrate in your life for a healthy digestive system! Obesity has been a problem in the U.S. for decades. According to 2018 data, adult obesity rates are over 35% in seven states. While diet and exercise have traditionally taken the blame for obesity, a recent study has found a new link between obesity and gut bacteria. Research has found that human gut bacteria is unique to each individual, which has allowed researchers to look into the differences between gut bacteria in thinner people and gut bacteria in obese people. What they found was that healthier, non-obese individuals have a different composition of bacteria than their obese counterparts do. While this all sounds like a lot of scientific mumbo jumbo, it really comes down to this: the composition of your gut bacteria can help determine if you may suffer from obesity or not. Read on to learn ways to determine how healthy your gut is and alter the composition of your gut bacteria if needed. The tricky thing about gut health is that because it's been largely not understood for years, your average Joe doesn't know much about it. The list below spells out a few of the common signs that your gut health is out of whack. If you suffer from one or many of these symptoms constantly, you may have an issue with your gut bacteria. Food intolerances: Trouble digesting certain foods can point to an imbalance of gut bacteria. Bloating, diarrhea and gas can be symptoms of this. Upset stomach: Without proper gut bacteria, the stomach can have issues processing and disposing of food. Symptoms could be heartburn, gas, constipation or bloating. Unpredictable weight changes: Unbalanced gut bacteria can lead to issues absorbing nutrients, leveling out blood sugar, or processing fat. This can lead to unintended weight gain and losses. Diet high in sugar: If your diet is high in sugar, good bacteria in your gut can decrease over time. This can cause inflammation, which is a gateway to many more serious diseases. Fatigue: An imbalanced gut can also lead to issues sleeping, which can cause chronic fatigue. If you suffer from one or more of these gut-related issues, read on to learn how you can regain the proper balance of gut bacteria. There are many things you can do in your daily life that can improve your gut health one day at a time! Eat slowly and intentionally. When you eat meals, be sure to chew thoroughly and take your time. When you rush through meals, you can disrupt digestion and prevent nutrient absorption. It's also important to rid your diet of unnecessary sugar. Lower your stress levels. High stress puts a strain on your whole body and your gut. Try attending a yoga class, journaling or experimenting with meditation. Get enough water. Water is essential for your body to carry out its basic tasks. Proper hydration helps your gut to produce the mucus needed in your intestinal lining. Get some shut-eye. Sleep is another basic but important part of overall health. When it comes to your gut, too little sleep can throw your bacterial balance out of whack, which can even lead to insomnia. Try turning off screens at least an hour before bed. Talk or read a book to help you fall asleep. Take a probiotic. Probiotic supplements provide a food source for the healthy bacteria that live in your gut. If you are someone who suffers from low bacteria in the gut, a probiotic could help you balance out. Probiotics have become very popular both in the promotion of a healthy gut and for weight loss. You can supplement them in your diet through a combination of probiotic supplements or probiotic-rich foods. Depending on which you choose, these foods have either gone through a fermentation process or have had good bacteria added to them. When it comes to probiotic supplements, Culturelle and Florastor have been acclaimed among the best probiotics. They are both supported by evidence to address not only gut problems, but also general digestive health and immunity. Your fitness and all-around wellness start with what you put on the table. A healthy diet – especially one that integrates probiotic-rich foods – will help your digestive health, immunity and mood to soar. If you'd like help in determining the right diet for you, check out our Free 1-Day Meal Plan! Our Free 1-Day Meal Plan covers all of the portioning and nutrient choices you should be making with every meal. You will discover exactly what to eat to lose weight and feel energized – all without hard dieting. Bragging Rights: has helped over 35,000 fathers lose fat, build muscle, & get healthy for their families. *Please know that weight loss results & health changes/improvements vary from individual to individual; you may not achieve similar results. Always consult with your doctor before making health decisions. This is not medical advice – simply very well-researched info on probiotics for weight loss.